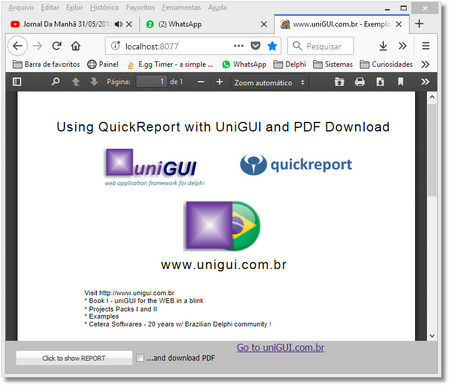 Example using QuickReport and uniGUI with download... enjoy ! But i have TUniPDFFrame component on the UniGUI Additioonal toolbar... what's wrong ? Search for that unit and verify your project's search path.